A House of Lords committee has issued a damning appraisal of the Foreign Office and its reading of the build up to the current crisis in the Ukraine. 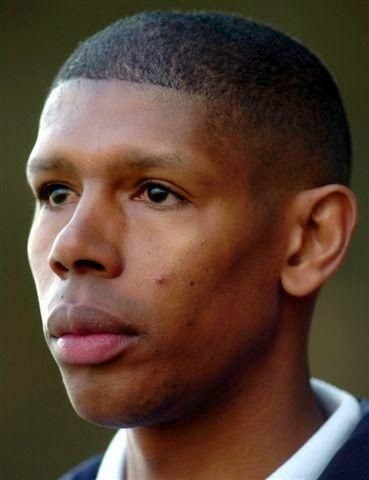 The Committee's report has been highly critical of what it sees as a loss of experience and skills within the department and has poured particular scorn on the employment of former Sheffield Wednesday and England footballer Carlton Palmer. Palmer, seen by many as little more than a tenuous attempt by desperate bloggers to link the current Foreign Office story to the 1959 Boulting Brothers comedy, Carlton Browne of the F.O. starring Terry-Thomas and Peter Sellers, was unavailable for comment as he was appearing for the Foreign Office works team in a friendly against a Qatar Embassy XI. However, a spokesman for the lanky and industrious defensive midfielder defended his appointment to the seemingly incongrous world of high level diplomacy and strategic global security. 'Obviously Carlton's a box-to-box type player, likes to put himself about a bit, has a better touch than many people expect from a big lad and has a similarly intelligent range of passing. Some may question whether he has the genuine world class ability to power the sort technically adept, quick thinking midfield unit you expect in the engine room of a modern international governmental department in today's game, but you could certainly do a lot worse, mentioniong no names. Marouane Fellaini." The report expressed alarm at what it sees as a skills deficit within the Foreign Office, questioning whether the department had the requisite linguistic and cultural expertise to comprehend the subtleties of developments within the Russian sphere of influence. A Foreign Office expert defended the department's skills set: "Obviously it's just one of those where we've taken our eyes off the ball for a second, failed to switch on at a set-piece and no one's picked up the lad Putin, ghosting in at the far post and extending Russian influence in the former Soviet bloc. But it's a cold war of two halves, they've got to come back to our place and no doubt buy up the other half of London they don't own already while they're there. We're still very much in this tie and let's hope we can give the fans something to really sing and shout about while they're stopping black people boarding the tube on the way home..."